Complications over funding and touchy sentiment involving Chinese capital have been delaying the sale of South Korea’s top game publisher Nexon. The deal is the hottest on the gaming and M&A industry, with local big IT and multinational entertainment and capital names showing interest immediately after Nexon founder and chief executive Kim Jung-ju in January announced he would be putting the family interest in the gaming company up for sale. 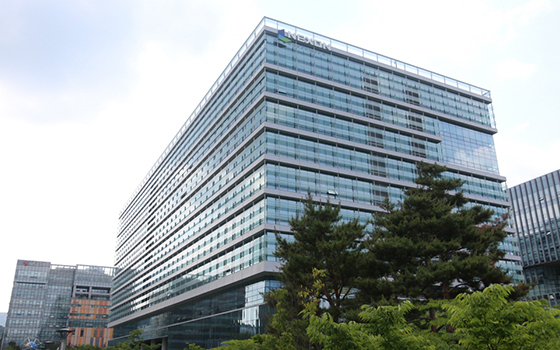 The tender for their holdings in NXC, the holding entity over Nexon, is expected to take place late April or early May at the earliest, later than expected, according to investment banking sources on Thursday. The colossal size of the stake is the biggest stumbling block. 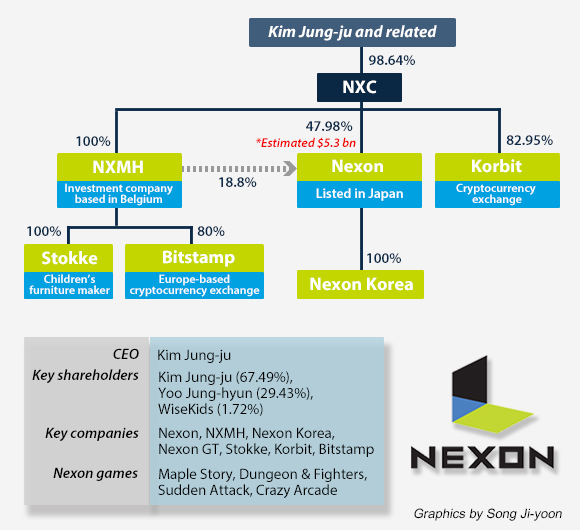 Up for sale is an entire 98.64 percent stake in NXC held by Nexon’s founder and chief executive Kim Jung-ju, his wife and Kim’s private company WiseKids. NXC owns 66.7 percent of Nexon, publicly trading in Japan whose value would be over 10 trillion won ($8.8 billion). Market experts estimate higher cost as minority shareholders would have to be compensated under the Japanese rules. Matchmaking to form a competitive team requires lengthier process, they said. Another complication is posed by Tencent, a Chinese capital which already commands sizable stakes in Korean gaming publishers. Its quest for Nexon makes the bidding dynamics more complicate. The Chinese company does not need to lead the transaction and may form a consortium with its partners Netmarble and Kakao that are separately bidding for Nexon. Tencent owns 11.9 percent of Kakao and 17.7 percent of Netmarble, while it owns the exclusive China license for Dungeon Fighter (DNF), Nexon’s most successful flagship game developed by its unit Neople. Currently, Tencent, Kakao, Netmarble are among the contenders for the entire stake in the parent of Nexon, together with private equity funds KKR, Carlyle and MBK Partners. Tencent has a cash hoard of nearly $24.87 billion, according to Moody’s Investors Service, a reliable partner for other bidders. Nexon’s DNF contributed $1.1 billion to its revenue last year.